Hi everyone! 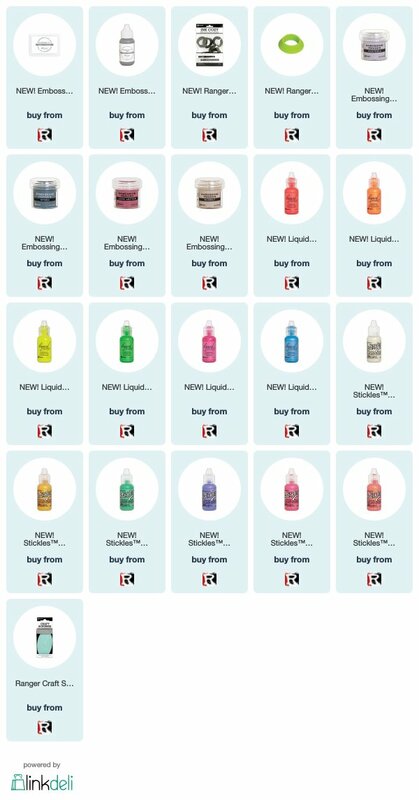 A little while ago, Ranger Ink contacted me if I’d like to receive a box of new goodies that they showed at Creativation. Of course I said yes because Ranger products are awesome! Here is the video that you can view down below or HERE on my Youtube channel. 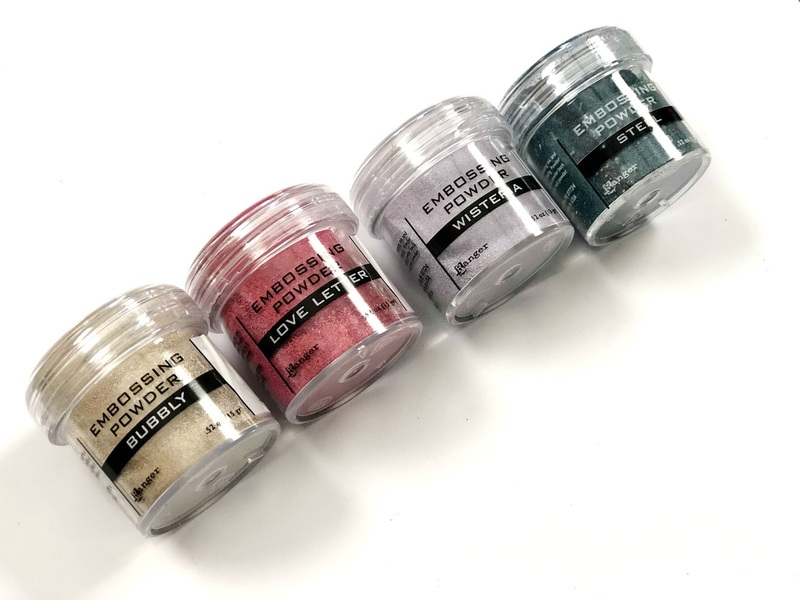 I have an unboxing video in real time going through the contents of the box and then giving examples of the products in use. 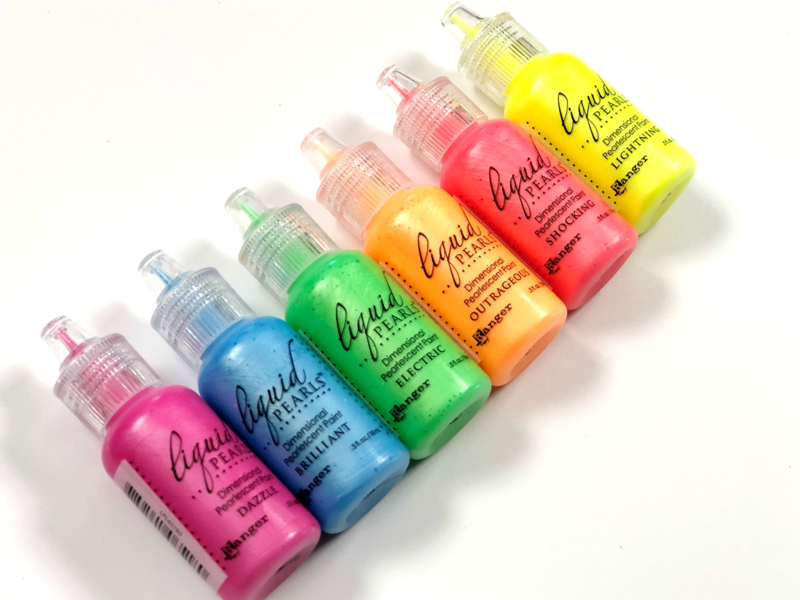 We have some gorgeous bright new Liquid Pearls colors coming out ! Please excuse the brightness in some parts of my video. I didn’t hit the Lock White Balance button and this was my second take on the unboxing lol. The first time I filmed it, I forgot to take my microphone off of mute. 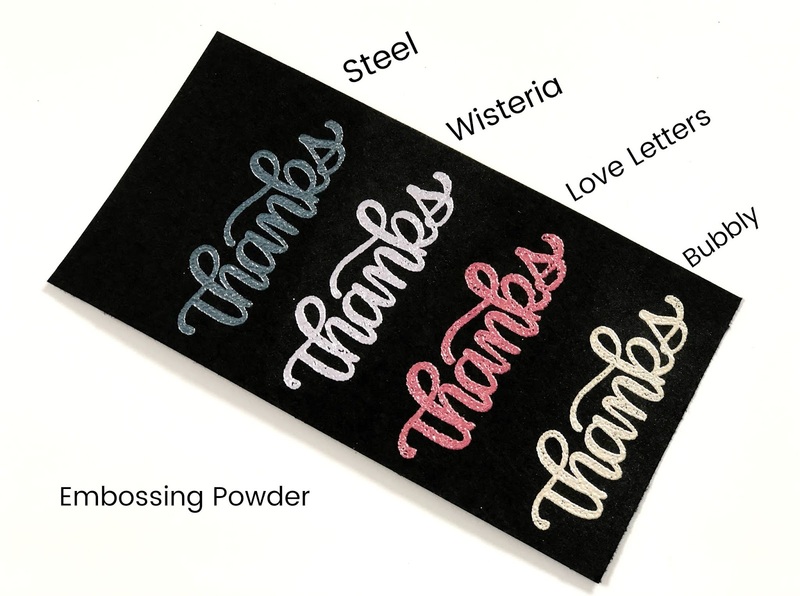 Here’s a look at the embossing powders on black card stock. 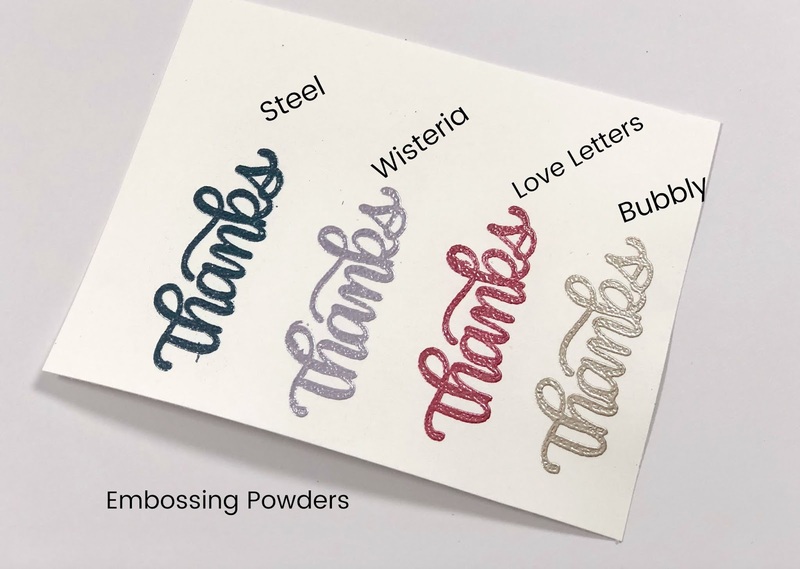 This is the embossing powders on white card stock. 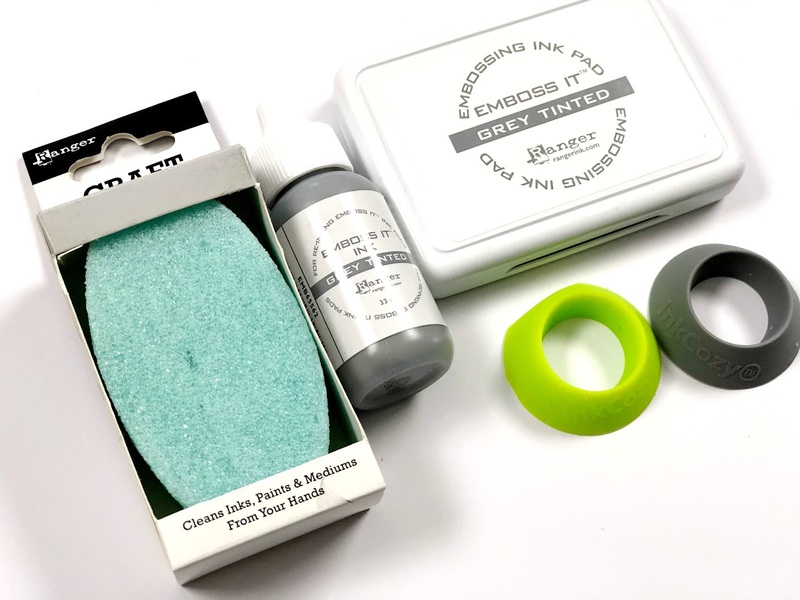 Also in the package was the Grey Tinted Emboss It ink, Ink Cozy, Emboss It Reinker, and Craft Scrubbie. Isn’t this picture below dreamy? 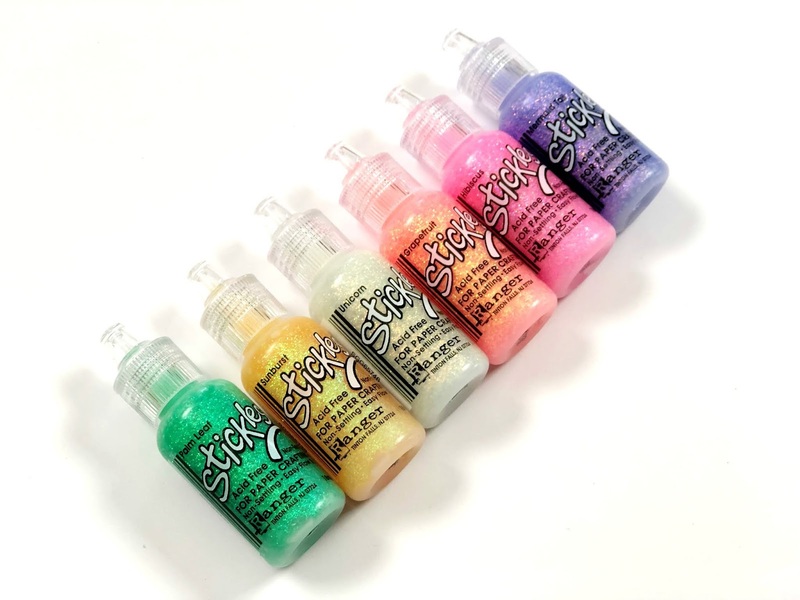 Check out these new Stickles! 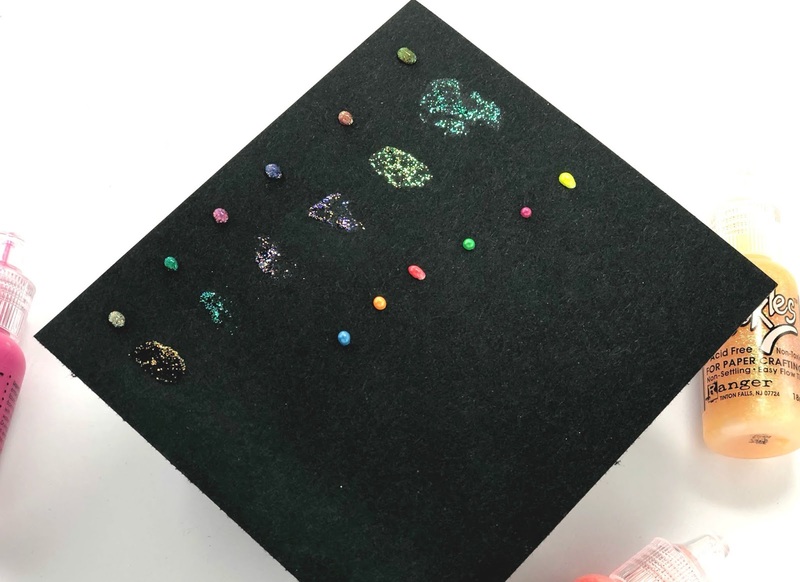 Showing the stickles and liquid pearls on black card stock. I hope you enjoyed today’s unboxing. 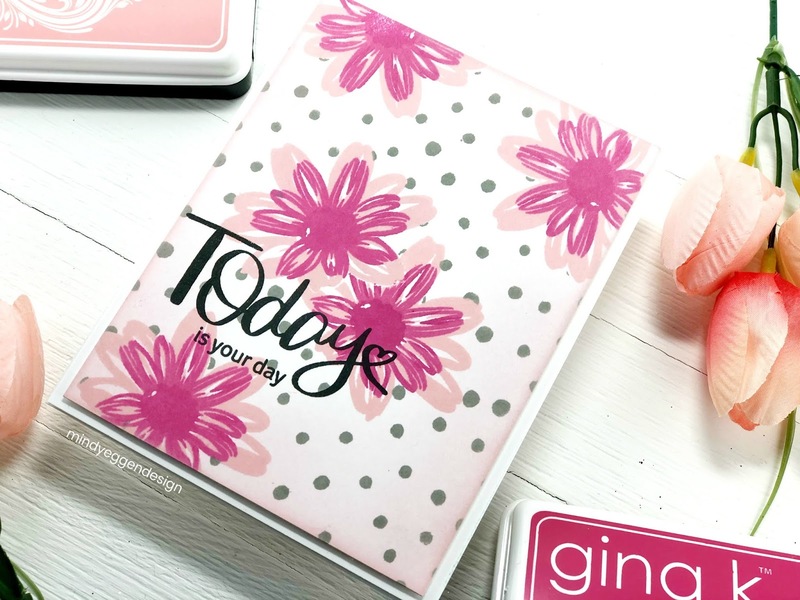 Welcome to Day 1 of the Gina K Designs Blog Hop for the January release! I have some colorful inspiration to share with you today. Be sure leave some love along the way for the design team! There is a $50 gift certificate to Gina K Designs up for grabs EACH day! The winner will be announced Friday, February 1, on the Gina K Designs Blog. I had gotten a lot of questions about my card I shared on release day so I created one similar to it and a video showing you how. You can view the video down below or HERE on my Youtube channel. 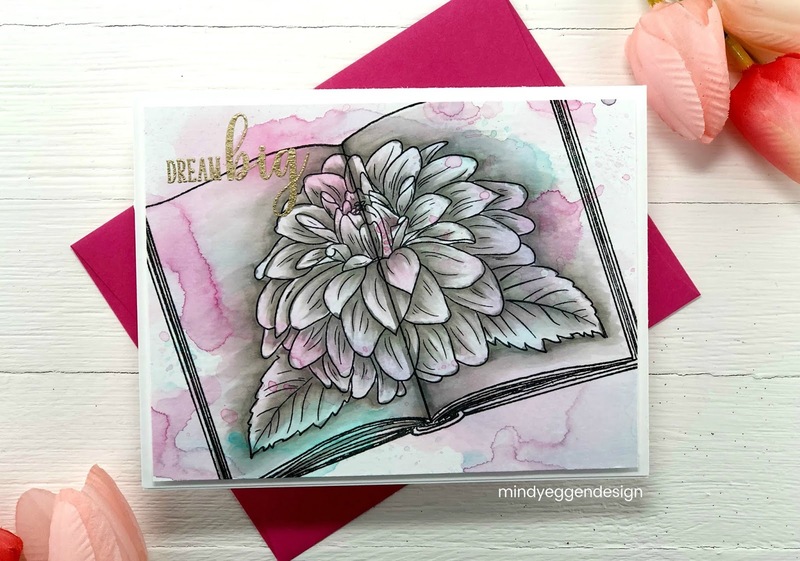 For this first card, which is featured in my video, I’m using the NEW Open Book stamp set by Melanie combined with one of my favorite sets ever, Grand Garden. I started by ink smooshing Peacock Feathers and Picked Raspberry Distress Oxide ink onto a piece of Tim Holtz Watercolor card stock. 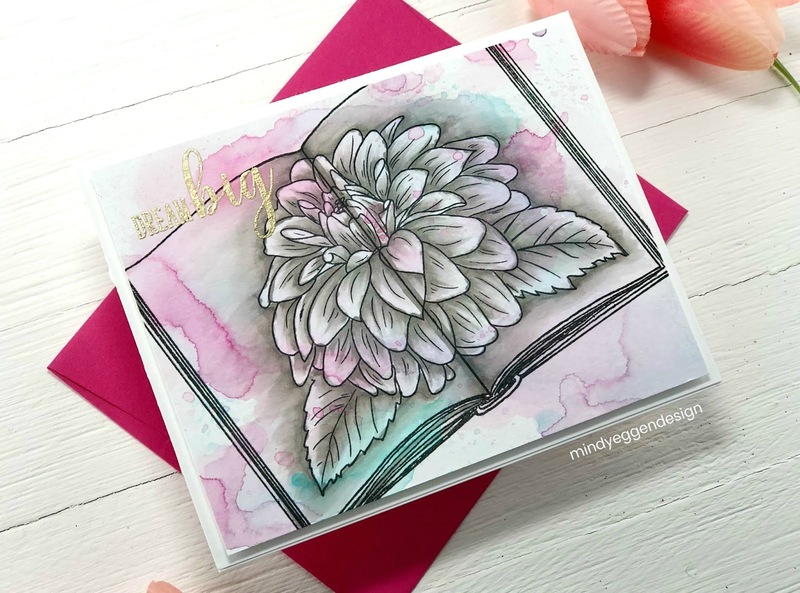 Then, I stamped the Open Book onto the watercolor card stock, followed by stamping the large flower and leaves from Grand Garden using Amalgam Ink. I love how this looks like a sketch book! Next I added shading to my flower with copic markers . I didn’t mind if the colors didn’t blend well as I was going for a more artsy look. 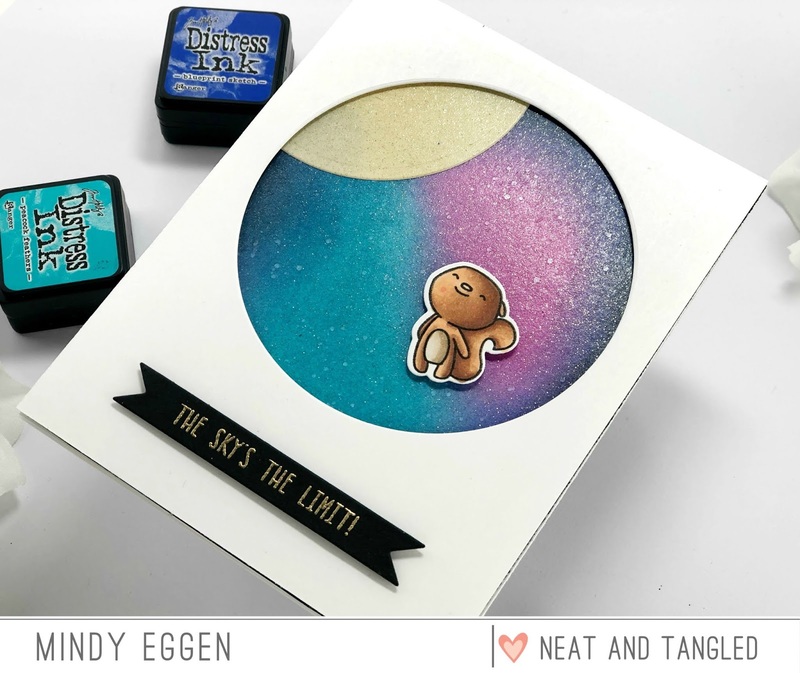 I heat embossed the sentiment is Gold Embossing Powder. Then trimmed the panel dowN to 4″ x 5 1/4″ and added to a white note card using craft foam and Gina K Designs Terrific Tape. 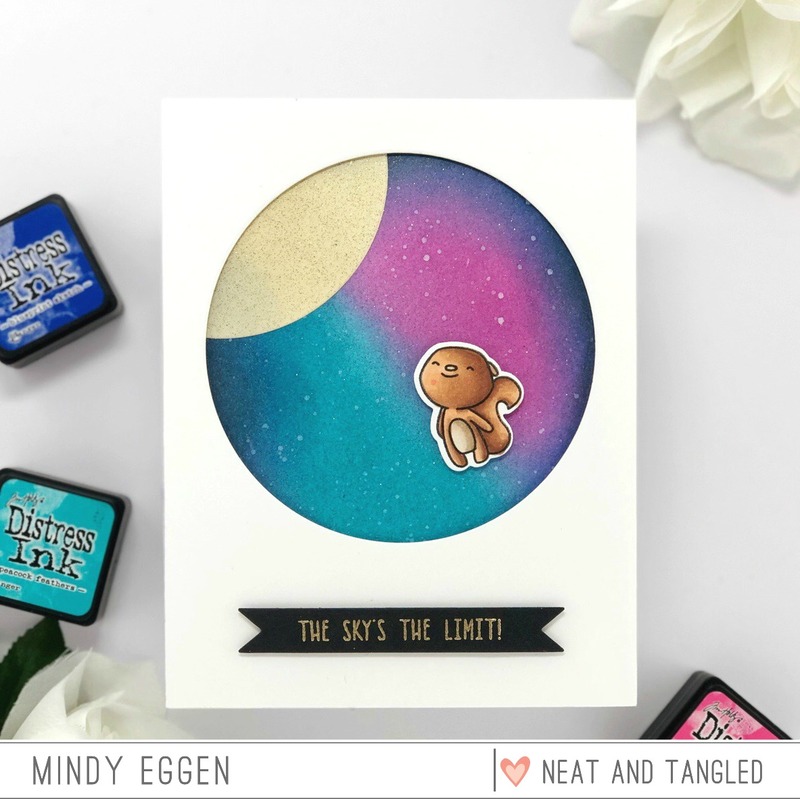 My next couple cards feature Today & Always by Lisa Hetrick. This is such a gorgeous set with unlimited amount of possibilities. 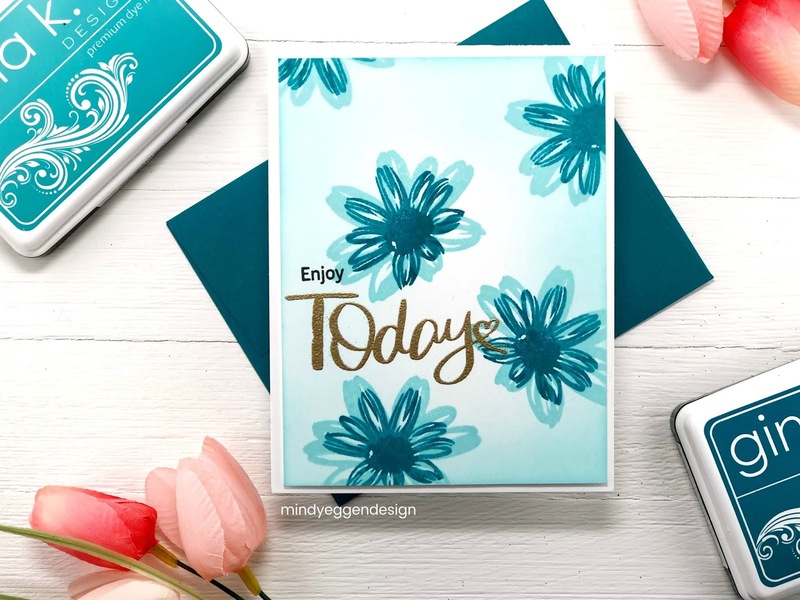 I layered the floral images with Ocean Mist and Tranquil Teal inks. Then did some light ink blending from the edges to draw in more color. 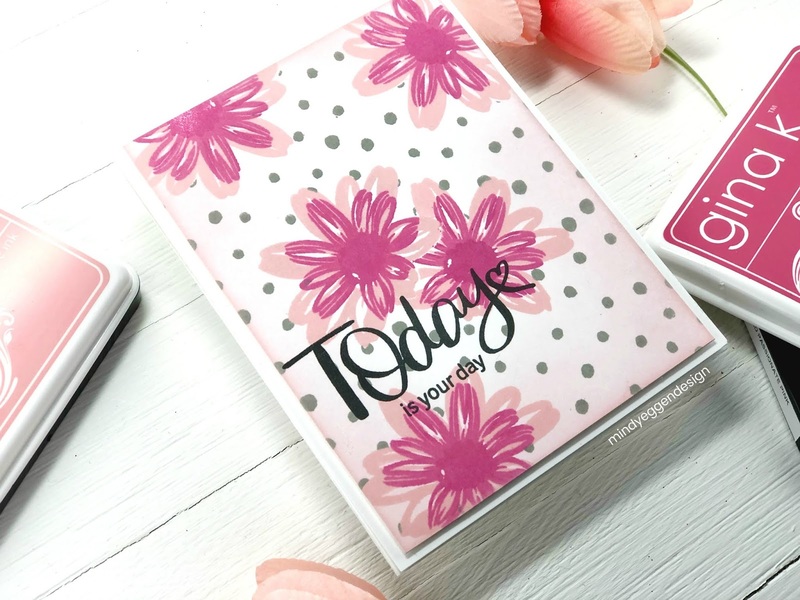 The sentiment is also a part of the Today & Always stamp set. I heat embossed the large sentiment in Gold Embossing powder. Then used Amalgam Ink for the smaller sentiment. This next card is very similar to the one above. 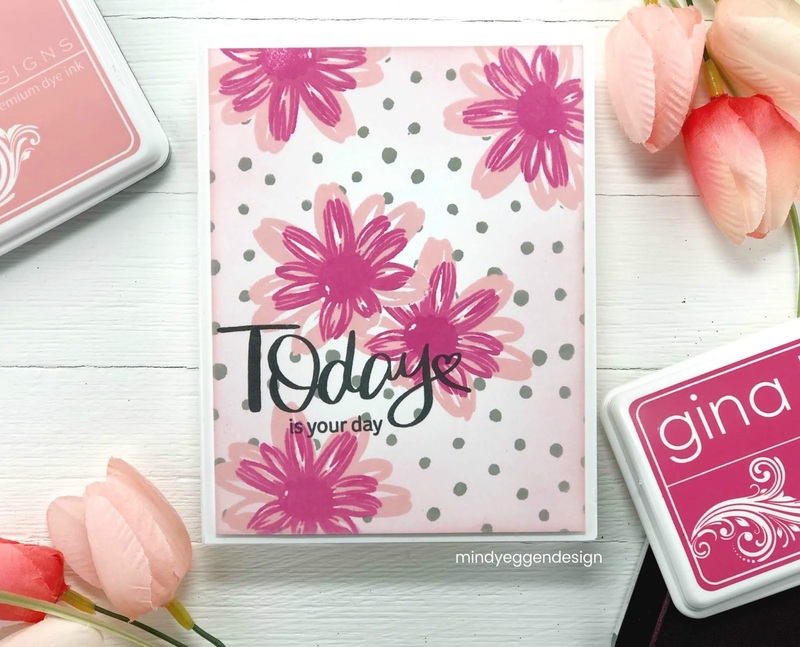 I layered my floral image with Innocent Pink and Passionate Pink inks from Gina K Designs. Then created five masks for them using the Masking Magic sheets. I added the masks to the flowers and stamped the polka from the Today & Always set using Moonlit Fog ink. 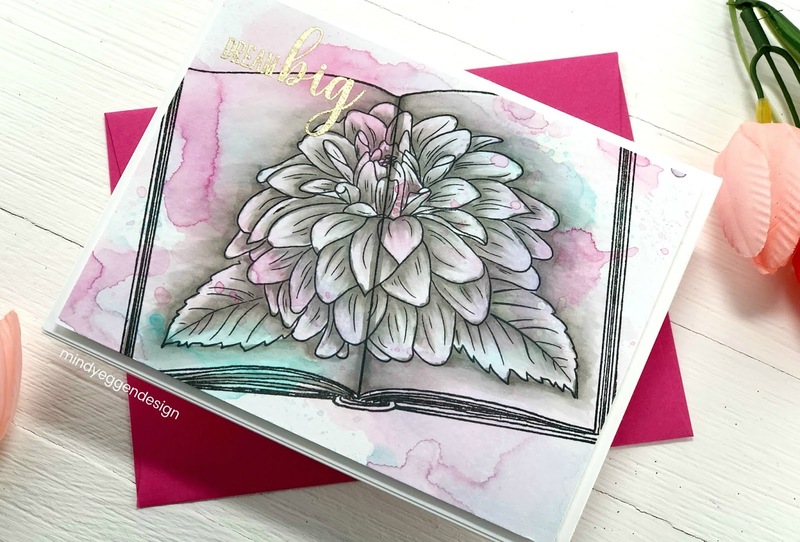 I inked the edges with Innocent Pink and stamped the sentiment in Amalgam ink. 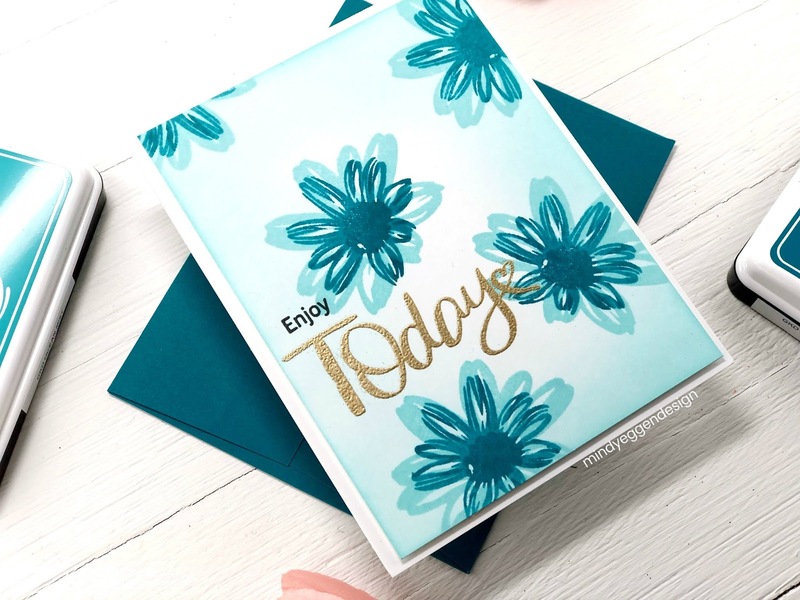 I love the artsy look of this stamp set and have so many more ideas for it! I hope you enjoyed today’s inspiration. 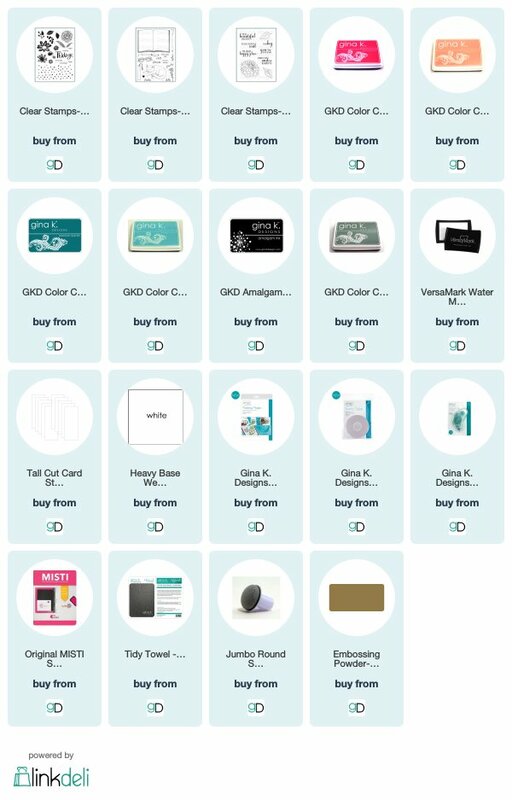 Be sure to hop along with us and leave some love along the way to be eligible for the $50 gift certificate to Gina K Designs.